The Academies of Louisville prepare, inspire, and empower students by offering meaningful and relevant learning experiences that directly relate to our world today. 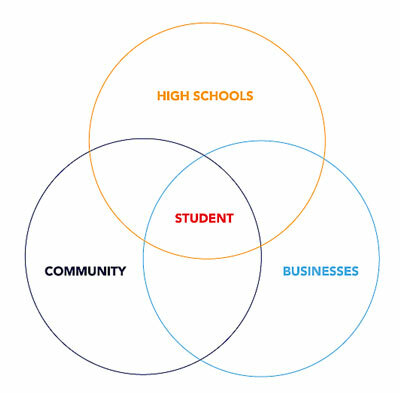 By connecting high schools to business and community partners, the Academy model aligns education and workforce development needs to better prepare students for postsecondary and career success. Beyond graduating ready to compete in an ever-changing 21st-century economy, Academy students develop the essential skills they need to succeed throughout college, careers, and life. 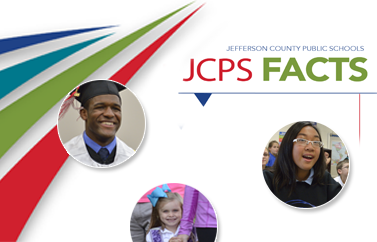 The Academies of Louisville prepare, inspire, and empower students by offering a new kind of educational experience—one that shifts from traditional techniques and environments to provide meaningful, relevant learning experiences that directly relate to our world today. The Academies of Louisville launched in fall 2017 with a mission to evolve public high school education by equipping students with the skills and 21st-century know-how needed to thrive in an ever-changing global economy. By connecting high schools to business and community partners, the Academy model aligns education and workforce development needs to better prepare students for postsecondary and career success. Academy students will graduate not only with a diploma but also with college credits, industry certifications, real work experience, and a backpack full of success skills. Beyond graduating college-, career-, and transition-ready, students will have a head start on life in the real world. Believing deeply in educational equity for all, this initiative prepares, inspires, and empowers all Academy students to reach their highest potential. No tuition or application is required.